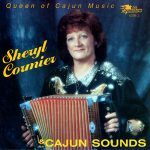 Sheryl Cormier is known as the queen of Cajun music & the Cajun accordion and was actually the first Cajun female musician to record playing the accordion. 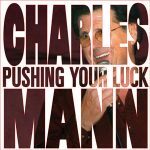 The oldest of four children, Cormier grew up surrounded by Cajun music, her father being the leader of the well-known group, The Sunset Playboys. Learning to play the Cajun accordion at age seven, Cormier performed with her father’s group throughout her teens and eventually formed her own band, Cajun Sound, with her husband and son. The membership of Cajun Sounds has changed over the years, but always at Sheryl’s side is her husband, Russell, who serves as manager and chief vocalist. In 2002, Sheryl was honored with the Living Legend Award by the Acadian Museum’s Cafe in Erath, LA. Her album, Sheryl Cormier & Cajun Sounds was released in 1992 and includes 17 tracks.